Google Scholar can be an excellent place to find articles from academic journals. Articles from academic journals aren’t the only things that students can search for on Google Scholar. Google Scholar provides search tools for locating court decisions and tools for locating patent filings. 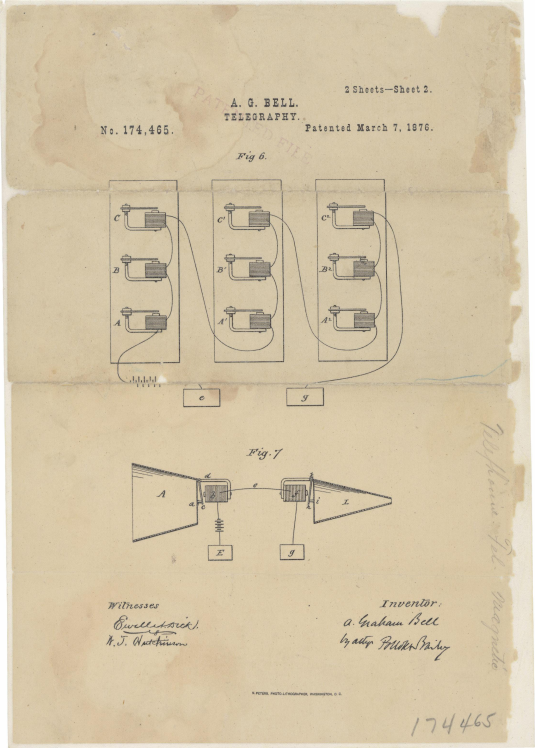 A good way for students to practice using the patent search feature in Google Scholar is to trace the evolution of telephones through patent filings. For example, The patent search option in Google Scholar can be used to help us find out how many subsequent, related patents have been filed since Alexander Graham Bell's 1876 patent. In the following video I demonstrate how your students can use Google Scholar to trace product development through patent research. Using the patent search function in Google Scholar can be a good way for students to attempt to trace product developments over time. In this case the challenge for students would be to find the major, subsequent innovations in telephone technology. Of course, the concept can be applied to almost any product that has been patented at some point in time. Read more about the strategy and application here.